This week, after a weekend trip to Palm Springs included an eye-opening trip to Joshua Tree, the end of the trip involved a trip to a local saloon. 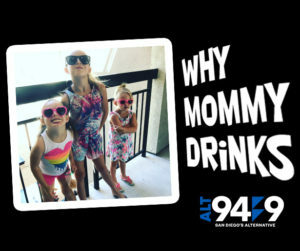 Find out what had Dana reaching for something on draft in the latest edition of Why Mommy Drinks. New York Times editorial argues that truly civilized moms traveling with kids should bring goody bags for their fellow passengers. Ummmm…really? I almost fell over when I read that, but what are you thoughts? 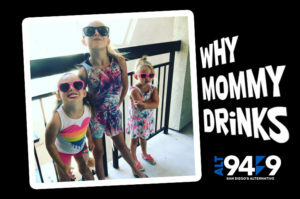 (StatePoint) The best way to get your kids to stop asking “are we there yet?” is to never have them ask in the first place! With some smart planning you can enjoy your next family vacation from start to finish — including your travel time getting to and from your destination. A fun and easy vacation starts with smart packing. The key is not to pack too much so your family isn’t hefting heavy luggage from place to place. It’s all about sticking to essentials when selecting clothing, beauty products, guidebooks and electronic devices. Take neutrally-colored clothes that you can mix and match, and don’t bring too many pairs of shoes. If your vacation isn’t very long, only take two pairs per family member: one to pack and one to wear. Rely on hotel toiletries or take multi-use products, like sunscreens that combine with moisturizers, or shampoo and conditioner combos. Don’t bring every guidebook you have! Take only one and use the Internet to supplement it on your tablet, phone or laptop. The old saying “getting there is half the fun” can actually be true if you plan wisely for your family getaway. Traveling by train, for instance, is a great option. With the city-center to city-center convenience of rail travel, you save time and can relax along the way. This is especially true for a European family vacation, as train travel allows you to discover historic and culturally rich destinations up close through your train window. Rail travel in Europe can also be a great value, as it continues to be a popular destination for vacationing families with the strong U.S. dollar. Along with discounts and local bonuses, kids ride free on select rail passes — the Eurail pass product line, the Swiss Travel Pass, the German Rail Pass, the France Rail Pass, and several BritRail Pass products. Plan ahead when looking to get rail passes, train tickets and reservations by contacting a service like Rail Europe. The company combines maps, schedules and fares of over 50 different train companies, creating a one stop shop to easily plan and book European rail travel. 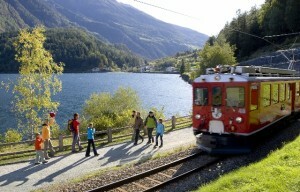 Contact Rail Europe to book your travel by visiting www.raileurope.com or by calling 1-800-438-RAIL. Traveling with a family is like traveling with an army. The key to success is logistics. When it comes to hotel rooms, make sure to check ahead so rooms are equipped with what you need. Don’t be shy about asking for mini-fridges, cribs, high chairs or extra roll-away beds. And when you are checking in, ask if your hotel has any extra amenities for kids — such as games, coloring books or rubber ducks for bath time. And check in advance to ensure sleeping configurations work for your family, paying attention to such details as separate sleeping areas or alcoves. A little smart planning can help your family go a long way on vacation!